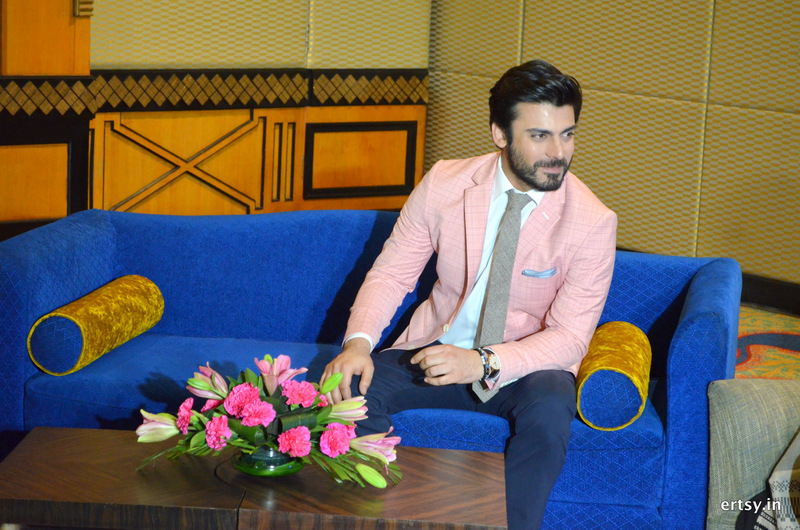 Fawad, being best known for his style and gentlemanly image kept up to his word with a very warm meet and greet. 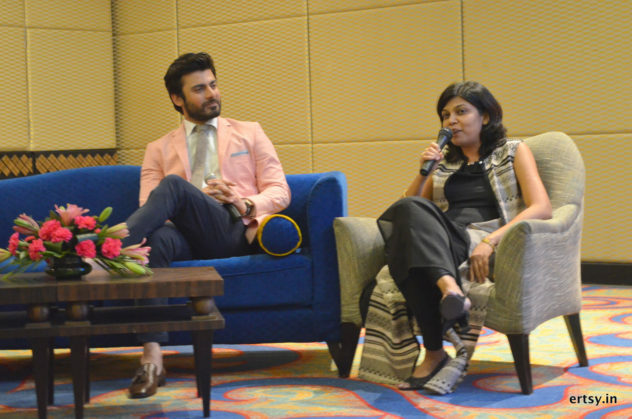 The Giovani Spring Summer 2016 was talked about and Fawad rightly mentioned how he has ventured into a partnership with Giovani for fashion and design that speaks of class in volumes like his very fashion sense. Giovani offers a wide range of men and women wear for someone with a knack of style and class. The Spring Summer 2016, too, is carefully designed considering varied style preferences of the discerning contemporary man and the woman, alike. 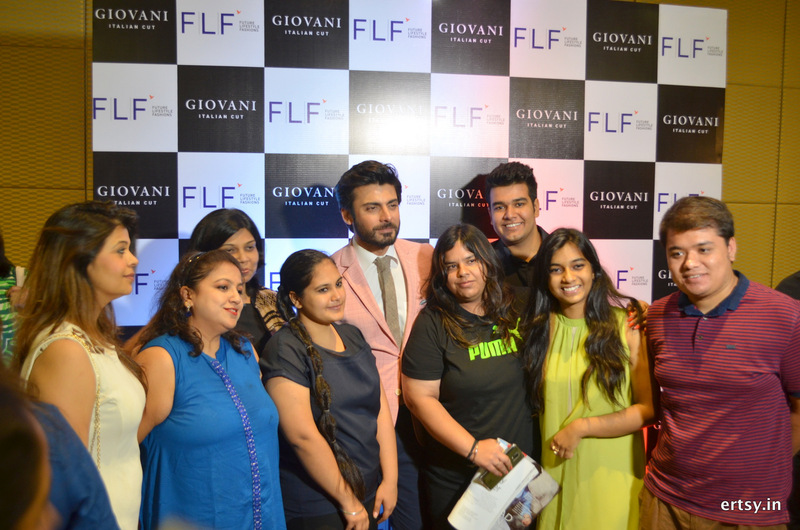 The meet and greet, however, was organised by Giovani to not only celebrate their Spring & Summer Collection but also reward the Giovani loyalists. The event was resided over by Shibani Mishra, Chief marketing officer, FLF & Aditya Puri, Chief Brand Manager, Giovani along with Fawad. 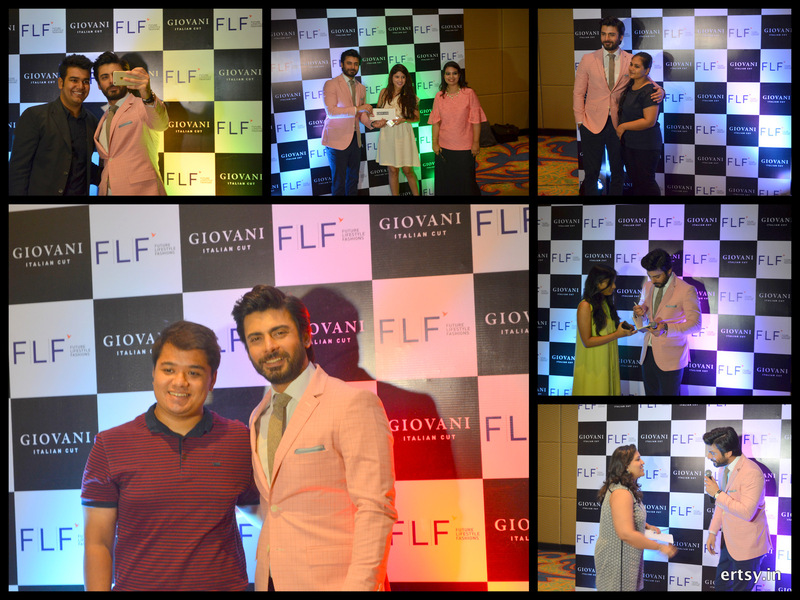 Tailing from a setting of various contests from all over the social media, some fans won the chance to get their Goivani moment with Fawad, too. While some made dubsmash videos, posted tweets, others did some styling gigs and wrote poems to woo the Giovani man. P.S. : Amidst all the fun, laughter and fashion, I could steal a dance with Fawad and have my Giovani moment, too! 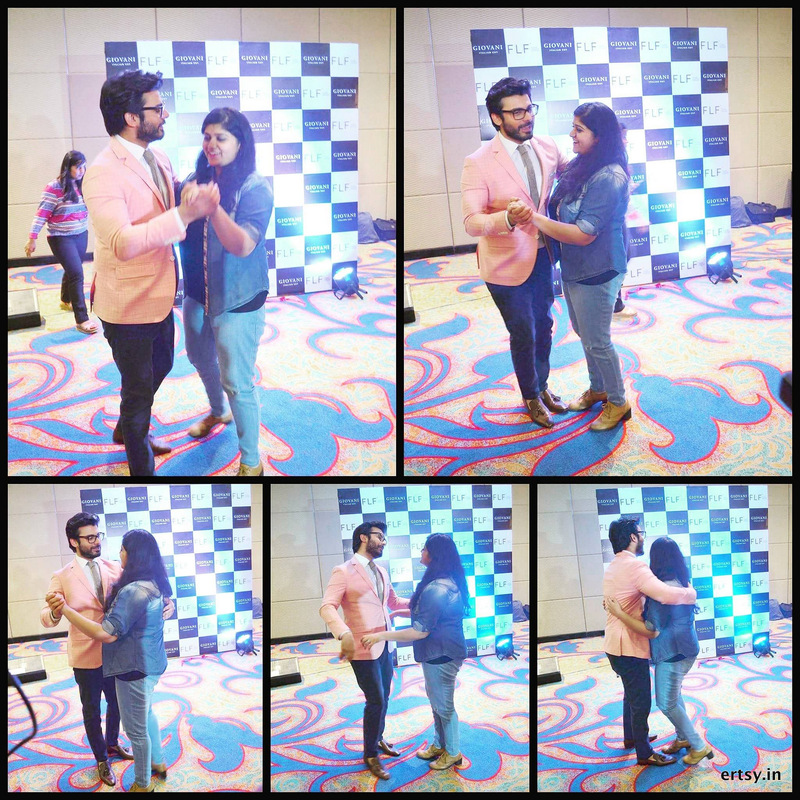 Waltzing with the very man, oh boy, was it memorable! Yes Yes Yes! See the Video here and now! All Images are subject to copyright. Photography by Shashwat Tripathi for Erubescent Ecstasy (Ertsy) exclusively. Images may be used with prior permission. REHAU South Asia Launch – Delhi Experience Centre! This is so cool that you danced with him, congrats!